During the late 1800s, businessmen in Elmira were looking for places where they could socialize and recreate with people of the same class. From this desire, came the formation of a City Club and a Country Club. The idea of forming a city club in Elmira was first bandied about by a group of young businessmen who were socializing at Klapproth’s Saloon. 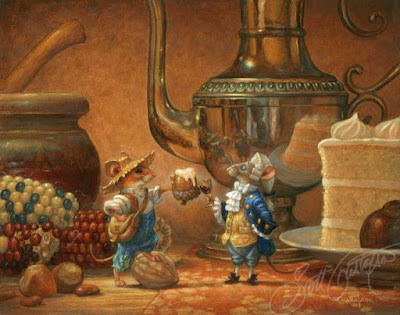 They wanted a private place of their own where they could meet after a long day of work to just relax, rest, and share in good fellowship. So, on October 26, 1889, the Elmira City Club was incorporated with 45 charter members. The first membership list included significant names in local history; Charles J. Langdon, George M. Diven, J. Sloat Fassett, and John H. Arnot, to name just a few. Their first clubhouse was the Flood residence at the corner of Lake and East Second Streets. After significant renovations, it opened on January 11, 1890. A steward and two waiters were hired to see to the needs of the club members and no tipping was allowed. 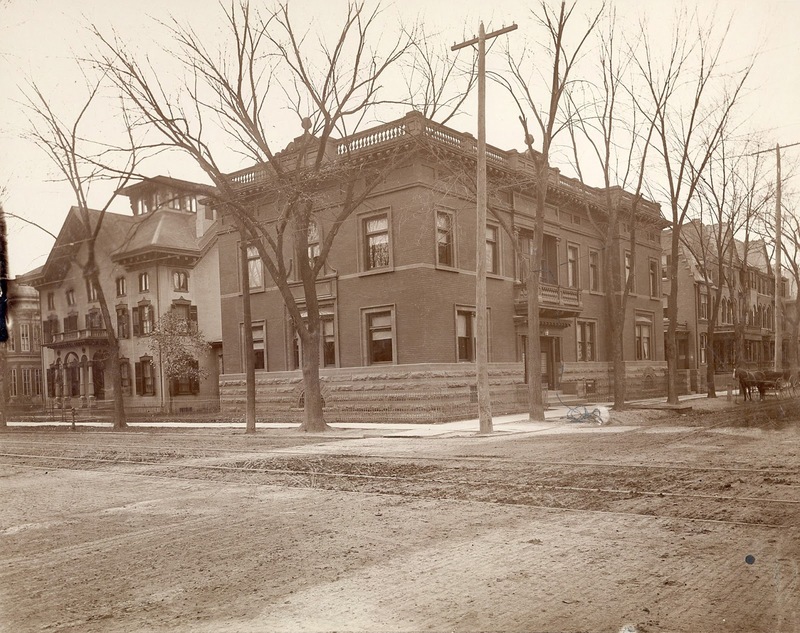 On New Year’s Day 1894, they opened a new clubhouse at the corner of East Church and Lake Streets. The building was designed by Rochester architects Crandall & Otis and was built specifically for the club. The two-story brick building contained club rooms, a café, reading and billiards rooms, and a ladies’ dining room. This building is still home to the City Club today. The club restricts its membership to 200 resident members (those who lived or had businesses in Chemung County) and 40 non-resident members. A roof garden was opened at the clubhouse in 1901 where people could have meals and socialize. It closed in 1914 due to the high cost of operations and because some parties on the roof were very noisy and things like food and bottles were sometimes dropped onto pedestrians below. In 1935, George W. Emory, steward at the club for ten years, disappeared. His wife later received a letter in the mail telling her he was gone for good. Only a small amount of cash could not be accounted for at the club. Women were not admitted as members of the club until 1986. Before that, they could be guests but had to enter the clubhouse through a side entrance. The City Club’s building was added to the National Register of Historic Places in 1980. 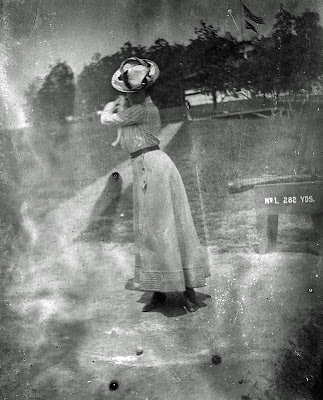 During the early 1890s, some local businessmen were introduced to the sport of golf. J. Sloat Fassett fell in love with golf during a trip to Scotland and he shared his love for the game with his friends back home. 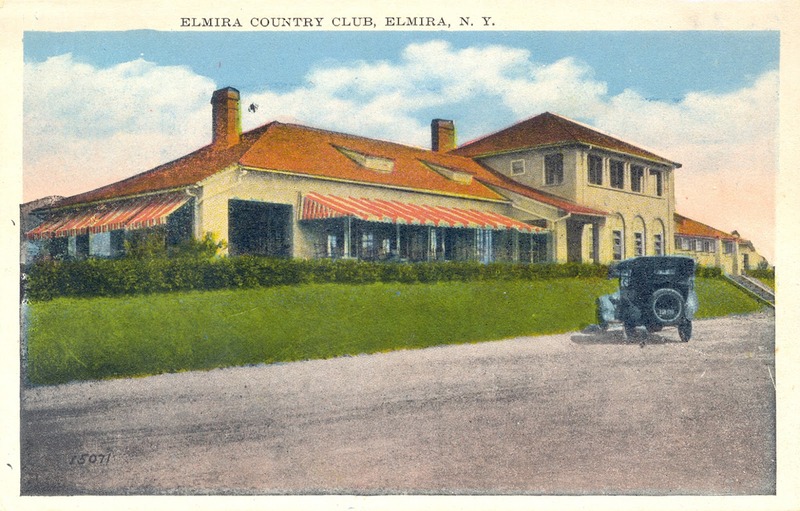 The Elmira Country Club was incorporated on October 21, 1897 to provide a space for these men to play. The club began with 317 charter members. It reached its peak membership in the 1970s with some 700 members. The Country Club’s first clubhouse was built in 1898 on Underwood Avenue with a 9-hole golf course designed by Willie Dunn. In 1909, a new clubhouse was built on West Church Street. That building was sold in 1920 and a third clubhouse was built to accommodate the growing membership. It included formal and casual dining rooms and men’s and women’s locker rooms. Outside were a swimming pool and tennis courts. A second nine holes were added to the golf course in 1922. In 2000, the Country Club’s main building was torn down and a new $6.5 million facility was built on the site. When J. Sloat Fassett first returned from Scotland, he created a three-hole golf course around his home, Strathmont. It is said that as more and more people came over to play, his wife told him to get all those people off her yard, thus spurring him to found the Country Club. In the early days of the Country Club, people would ride the trolley to the base of Underwood Avenue and then take a horse-drawn taxi up to the clubhouse. Some younger folks would walk up the hill. The site of the second clubhouse on West Church Street became the home of the Dominican Monastery. In 1935, in a time of nationwide financial turmoil, the Elmira Savings Bank foreclosed on the Country Club’s mortgage and purchased it at a sheriff’s sale. Seymour Lowman, president of the bank, commented that they would “plow up the golf course and plant it with potatoes.” John E. Sullivan headed a committee that formed the Elmira Golf Corp., which then purchased the property and continued operating the club.